WHAT IS THE VENUE FINDER ? Our service is free because we pay ourselves through agreements with selected providers. We negotiate for you the best conditions in terms of quality, price and services. As a Venue Finder, we do not depend on any provider and are always looking for new places that will surprise you, and surprise your employees, customers and associates. Of course if you need IN CORP to carry other posts like catering, entertainment or any others service, we will be delighted to help you. Every moment in the life of a company has its theme gala dinner ! 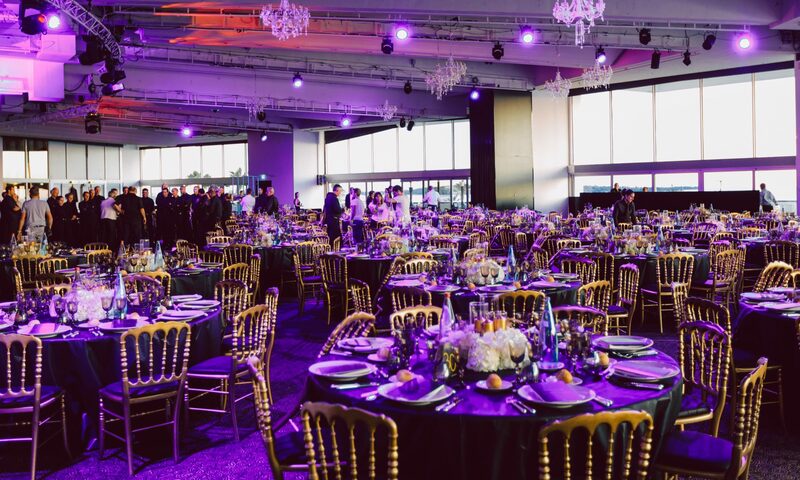 Whether a gala evening, client or management evening, product launch, a corporate anniversary, a merger, the presentation of a new brand image, or any other type of events you wish to organise, our events agency will offer scripted or theme nights, whatever your goals and your communication needs. We will you advise you on and create for you exceptional themed evenings! There is nothing more exciting than a horse race, on a racetrack or in a neutral place. We can recreate the atmosphere and excitement that horse races can cause, your guests will be thrown into the world of predictions and bets and the hope of winning. Tails for men and hats for the ladies! They will form teams that will predict the race winner. Entertainment during the dinner and dancing for the more adventurous. So who is the murderer? This is the puzzle that your guests will have to work through during the evening where tables are put in competition with one another. Seach, investigate and especially suspect. But who are you going to blame? We offer several scenarios, which we adapt to where your evening takes place. Total immersion with role-play, interactive entertainment during dinner whilst the dancing is initiated by the outcome and award ceremony. Arrive at an atmospheric atmosphere with a Russian dancer and ice bar for vodka or chilled juice tasting. Dine Russian-style, with a great sense of sharing. An evening of entertainment featuring Russian and Slavic dancers, who will be delighted to involve your guests in a traditional atmosphere. A change of scenery in Paris. Ladies and gentlemen place your bets. We will arrange an exceptional evening for you in a place of your choosing. Poker, blackjack and roulette tables, put your chips down – the games are beginning. The goal of the night is to win as many chips as possible to participate in an auction at the end of the evening. Only the best players will have the chance to bid. However nobody loses, as there are always consolation prizes. Throughout the evening there is a cocktail buffet, to ensure that the games and entertainment keeps on going. The 30’s: jazz, the Charleston and prohibition. If one thinks of a club, we immediately think of the Cotton Club in Harlem, New York. Duke Ellington, Cab Calloway, Louis Armstrong, Ethel Waters, Josephine Baker, Coleman Hawkins, Dorothy Dandridge are all products of this famous club. On an evening invite your guests to a night frantic with top hats and cigars for the men and cigarette holders and boas for the women. A dinner show and entertainment enliven the night of New York madness in Paris. Throughout the evening, people wander among the guests. Dressed and easily recognisable, they offer a series of quizzes and challenges about France. In exchange for the right answers, they hand out “notes”. The guests keep these notes and try to get as many as possible to spend at the auction. etc. The atmosphere of the evening rises gradually and when the quiz is in full swing it then leads to an “auction “. Guests are invited to participate in the sale. The auctioneer presents lots and explains the item. The guests play with the money acquired during the first part of the evening. At the end of the bidding, the lots are given in exchange for the “notes”. A colourful, elegant atmosphere with flavours of the East. Why not invite your guests to an evening in India. Hostesses in saris will greet you with garlands of jasmine and accessories, Indian dance like in Bollywood. Snake charmers and fakirs will bring the evening to life to the delight of your guests. Quality, delicate cuisine will surprise your guests. evening – replete with straw boaters – offers a live orchestra and accordionist. for those who take part. (This event may be preceded by a tour for your group at the musée d’Orsay, the birthplace of Impressionist art). A magic-themed evening, with an illusionist and close-up magician during the meal. Your guests will be guided by the hostesses from their arrival. Relax, wonder and surprise. Fortuneteller…Finish the evening with a magnificent fireworks display that will wow your guests. Have a public or private lawn to yourselves for an afternoon or an evening. With the option of a sit down dinner or a picnic, we can ensure that your event is not obscured by clouds. Entertainment such as pétanque and skittles may be ordered to make your event both exceptional and convivial. In a cozy setting or on a terrace, we propose to focus your event around spirits, explanatory workshops and tastings by experts. Depending on your choice of spirits and your budget, we offer entertainment and environments adapted to the decorations – from the music to the food on offer. A night without a hitch and with a respect for balance. Reserve a space for a private concert for a particular artist, philharmonic concert or tribute band. We can organise a cocktail party or dinner sitting at your convenience and make it a unique experience for your guests. Take over a castle for an evening and become lord of the castle. Receive your guests at the Chateau d’Ambroise, Chateau Chenonceau, Chateau de Chantilly, Chateau de Chambord, the Chateau de Versailles and other castles across Ile de France and France. In a classic or medeavial atmosphere, in formal or fancy dress there is the possibility of a balloon ride and late night fireworks. Immerse yourself in a chic and elegant evening set in the 1930s, 60s, 70s, 80s or 90s. Choose your favourite year and delve back into the past. … All is in the detail, decoration, accessories, choice of menus, entertainment. For those dancing part of the night will be dedicated to the chosen period and then you will move on to more current music. At the exhibition of 1889, the great lady was unveiled in Paris. We offer a culinary and visual experience at the Jules Verne restaurant 125m above sea level where you will enjoy the 3 star dishes with the most spectacular view of Paris. Or you can organise an exceptional evening in the rooms of the Eiffel Tower using the theme of the Universal Exhibition.